Students are expected to stay well within the intent of the dress code. Students may not attend class unless they are in conformance with the dress code. Where questions arise, administration discretion will be exercised. All judgments are at the sole discretion of the Administration. Parents and guests are asked to dress in a manner befitting a Jewish day school when they enter the building. 1. Polo Shirts (Short or Long Sleeved) mesh or interlock with the Beth Tfiloh Dahan Community School Logo in a variety of approved colors are available through Lands’ End and Tommy Hilfiger. **PLEASE NOTE that the line of "Feminine Fit" polo shirts is now included in our school dress code (for Lower School only). At least one polo shirt must be white for Rosh Chodesh and special events. 2. Turtlenecks, mock turtles, sweatshirts, sweaters and jackets in a variety of approved colors with the school logo are available through Lands’ End and Tommy Hilfiger. 3. Oxford or chambray shirts and blouses with the school logo are available in a variety of approved colors through Lands’ End and Tommy Hilfiger. Pants must be loose-fitting, ankle-length, and may not drag on the floor or have frayed bottoms. Cargo and chino-style pants may be worn in Khaki or Navy, provided they are loose-fitting. Note: Capri, Stretch Pants and Leggings are not approved. 5. Knee length khaki, or navy jumpers, skirts, skorts, or longer length shorts (shorts only may be worn during the months of August, September, October, April, May and June) available at a supplier of your choice. Leggings may be worn under skirts as long as the skirt meets the uniform standards. 6. Short Sleeve and Long Sleeve Mesh Polo Dresses in approved colors may also be worn. 7. Boys are required to wear kippot every day. Please keep extras in your child’s backpack. 6. Socks or tights must be worn with shoes. 3. Sweatpants, balloon pants, nylon pants or short shorts. Leggings or stretch “skinny” pants of any fabric that fit like leggings may not be substituted for approved pants. 5. Excessive or dangling jewelry should not be worn for safety reasons. Stud earrings are the only permissible earnings which may be worn by girls. Used BT uniforms are for sale during our annual School Non-Swap Shop for the reduced cost of $5. All proceeds go to tzedakah. It will not be necessary for Lower School students to change for Physical Education. Clothing and athletic shoes that are durable enough for the playground are also more than adequate for Physical Education. All students must wear athletic shoes for Physical Education. 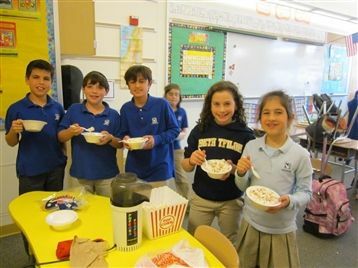 On holidays such as Purim or specially designated occasions, the dress code may be lifted and students may be permitted to wear casual or “specialty” clothing. Parents will be notified in advance of these occasions.